Register your Visa Signature/Infinite card and do 2 stays/4 nights within 90 days to get Hilton Gold. 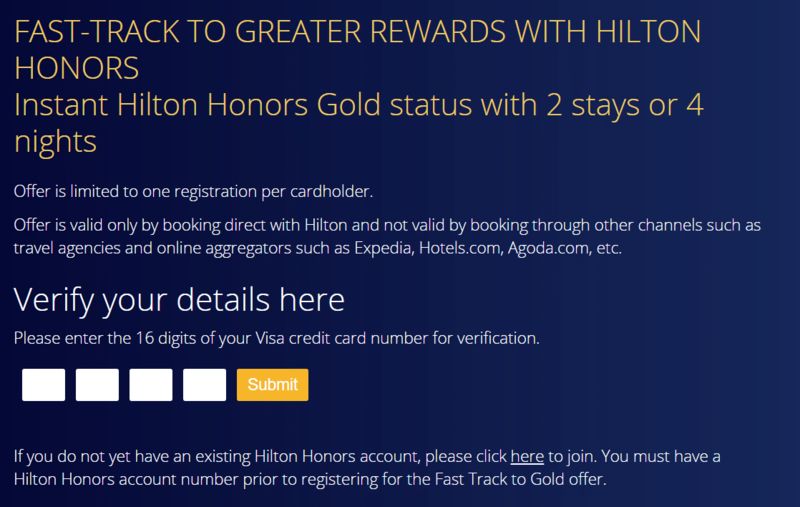 For more than a year now, Hilton has been offering holders of Visa Signature and Visa Infinite cards a fast track to elite status offer- register and make 2 stays or 4 nights within 90 days to get Hilton Gold. Given that Hilton Gold normally requires 20 stays/40 nights/US$7,500 in annual spending, this represents a great short cut to elite benefits including room upgrades and free breakfast. The most recent offer ended on 31 December 2018, but it’s historically been extended numerous times so I was hopeful it’d pop up again. Although it can’t be found on the official Visa Signature landing page, it appears that you can register through this link once more to enjoy the fast track offer. This is valid for registrations made between 15 Feb and 31 July 2019. You can find the T&C of this offer here. Once you register, you have 90 days to complete your 2 stays or 4 nights. 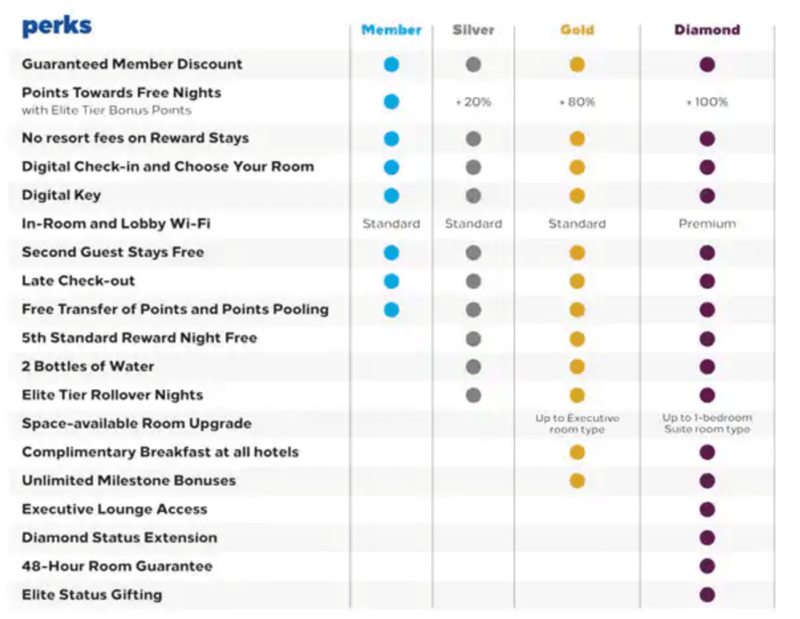 If you’re successful, you’ll get Hilton Gold status for the rest of 2019 and 2020. To re-qualify for Hilton Gold in 2021, you’ll need to make the usual 20 stays/40 nights/US$7,500 of spend from 1 Jan-31 Dec 2020. All stays must be booked directly with Hilton to qualify (i.e no OTA bookings). 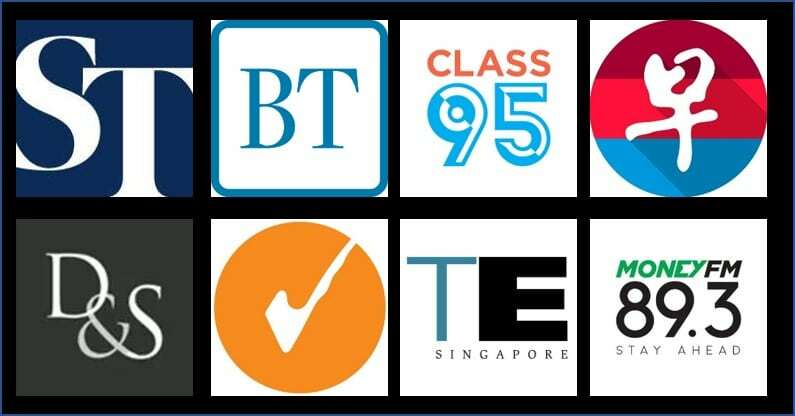 Which cards are eligible for registration? If you open your wallet, you’re bound to find at least one, probably two Visa Signature cards. That’s good, because should you register and fail to meet the fast track requirements, you will not be able to register again with the same card. You can, however, create a new Hilton account and use a separate Visa Signature card to register. Based on past experience, people have reported that award stays count towards your 2 stay/4 night criteria, and if you’re choosing a revenue rate, there’s no need to actually use a Visa card to book or pay. Remember that consecutive nights at the same property booked separately will still be counted as a single stay, so the easiest path towards qualifying would involve either doing a single 4-night stay, or doing two 1-night stays. 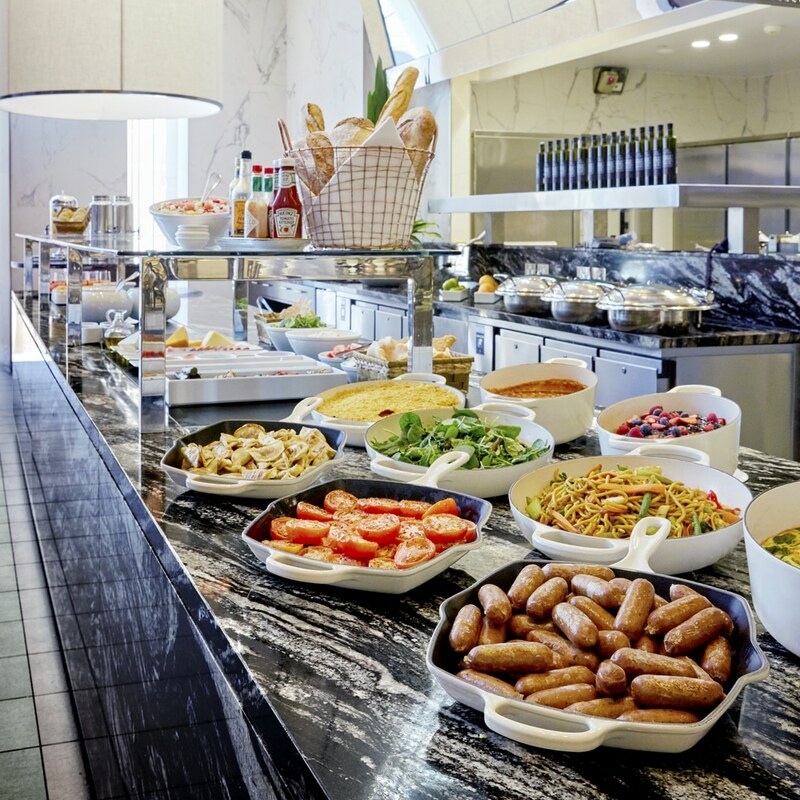 Hilton Gold may not be the highest tier in the program, but it may be the most useful mid-tier hotel status out there because of the free breakfast and upgrade perks. 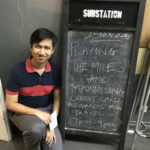 If you’re thinking about taking up this status challenge, you should also consider first getting instant Hilton Silver via the AMEX KrisFlyer Ascend (don’t forget to take part in this month’s SingSaver Valentine’s Day campaign) so that you can earn a bonus 15% points when making your qualifying stays. You could also consider booking your four night stay through the Citi Prestige, in order to get the fourth night free. Rates booked by the Citi Prestige concierge will qualify for Hilton status credit. I’m glad this got extended and I managed to sign up online. Does the Day Use rate count as stays in this fast track ? I’ve no personal experience with this, but plenty of people have said that it does. If I have registered using card A but didn’t hit the fast track. Can I use card B to link to the same Hilton account to hit the fast track? Does using the hilton voucher from amex ascend count as one stay? Yeah was wondering the same, might be too much to ask though…! I’ve just checked with Hilton Honors. Two x 1 night stay in the same property counts. Do I need to use the Visa card that I registered to book for my stay? If no need, then how do they track my stay? Errm via your Hilton acct.